Yesterday Stephen bought the kids some gardening tools. 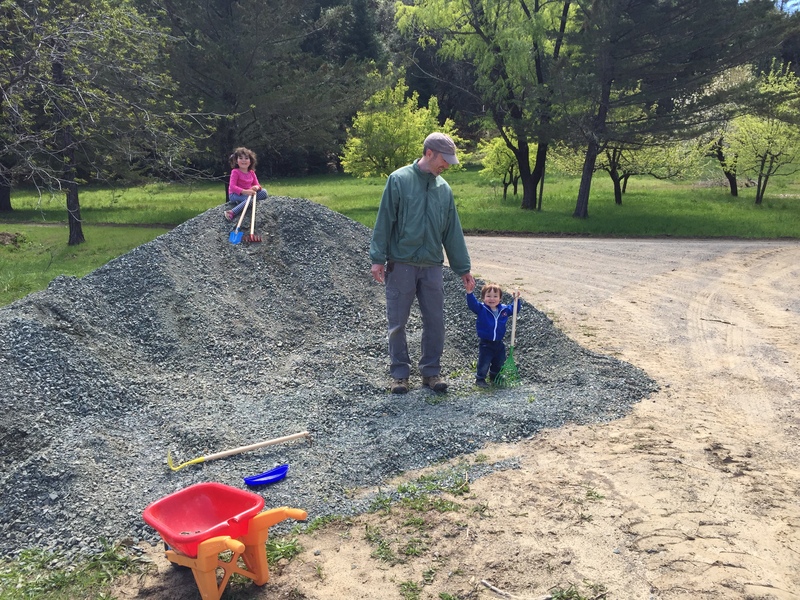 Our garden is still in the building stages so Zoey has decided to “garden” the pile of gravel in front of the barn. Our garden fence is almost done to keep the animals out, and Stephen is making some raised beds so we’ll hopefully be ready to start planting soon. Meanwhile, Zane is eagerly practicing his gardening skills by learning to walk while trying to rake. 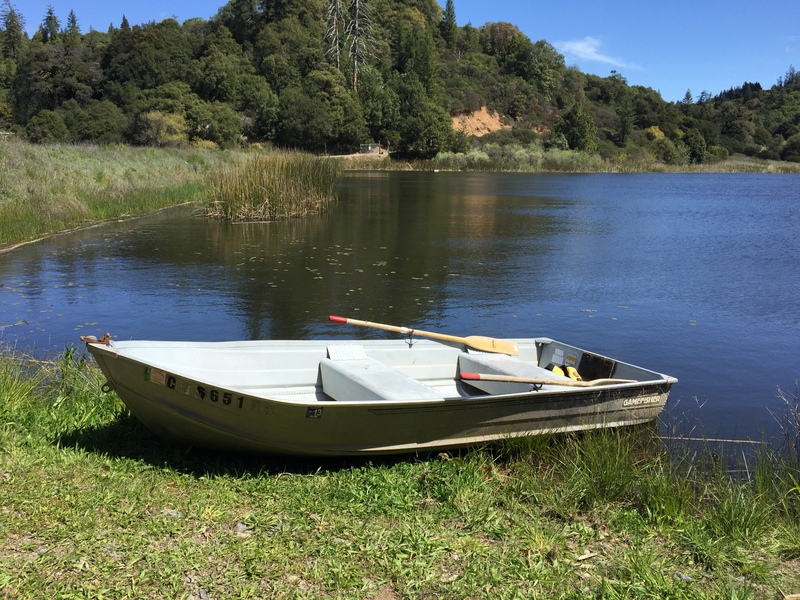 One of our contractors gave us this boat and some life vests on Friday. We took it out on the water this afternoon. Zoey was a little scared at first but held my hand and then seemed to be okay. Zane, however, was not pleased to be stuck in his life vest. I’m sure you can tell by his reaction below. 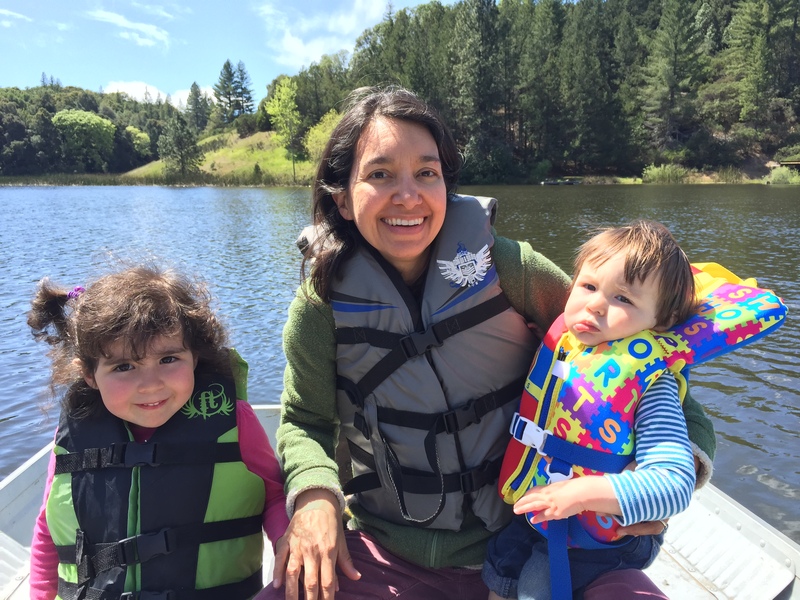 Back when we lived in Carmel, we took Zoey out on a kayak at a small lake at the Preserve when she was around the same age as Zane is now. She had the same reaction except that she cried the entire time. 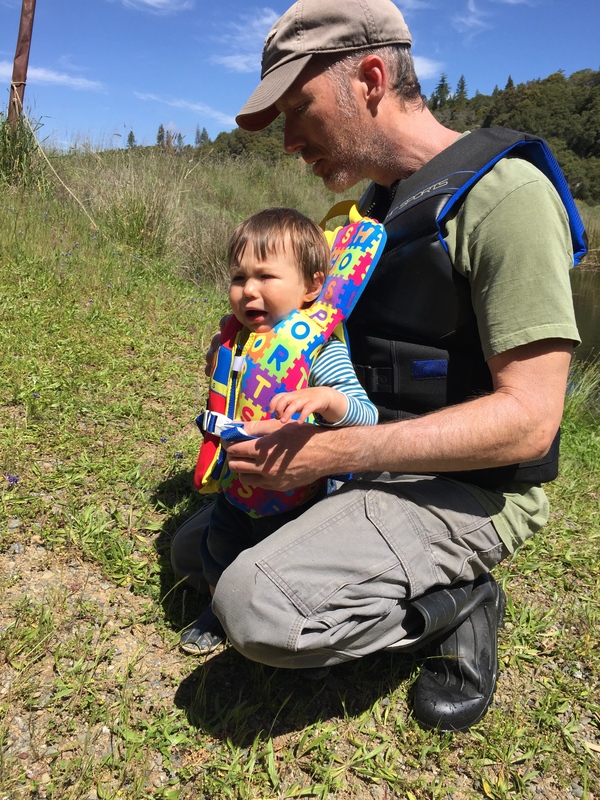 Thankfully Zane settled down once I was holding him, but he kept frowning the entire trip around the lake. I haven’t been writing very much lately, and I feel a bit out of practice. Next weekend I’ll be back at Motherland Botanical Sanctuary for the second month of my 9-month herbal class. This month we’ve been focusing on learning how to do infusions and decoctions. Later this week, hopefully, I’ll share an herbal infusion I’ve enjoyed drinking the past few days. More updates soon on our shop/shed/guest room and garden. Categories: Ranch life | Permalink. What beautiful Pictures. I’m so envious of your perfect patch of land and the kids look so adorable. Thanks for sharing. Ah don’t be envious, just come up to visit us! The shed guest room should be done by summer (fingers crossed).